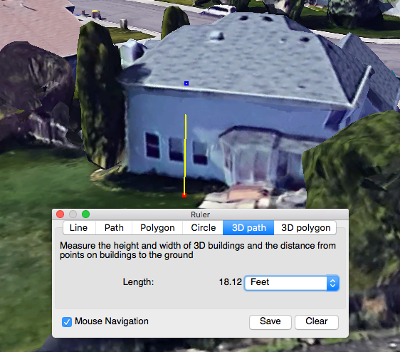 Google Earth Pro is one of the best free tools available for planning wireless networks. Here are a few tips and tricks to make the most of the tool. Make sure you’re using the latest version of Google Earth Pro. Remember to save your work often! the program is a little unstable and crashes a lot. Sometimes you have a list of addresses you’d like to get imported as placemarks to view on Google Earth. To do that you’ll use a Batch Geocoding service. 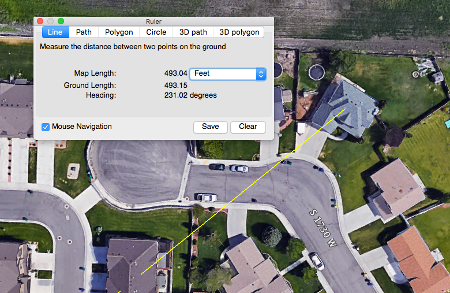 You can use the measure distance tool and the line draw tool to check line of sight between 2 points on Google Earth. 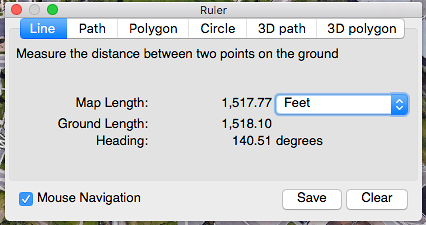 Click ‘Save’ on the ruler tool. This will give you a line between the two points. You’ll end with with a line like this. Notice it’s going right through a large tree - no line of sight this time! Find this section. You’ll see both ends of the line in the ‘coordinates’ section - the first two numbers are the latitude and longitude and the third is the height above ground. Change one or both of them to match the height of the buildings. Save the file. Right click on a line and select ‘Show Elevation Profile’. This will show you a graph with the elevation of the ground beneath the line. Useful for determining line of sight, especially for longer shots over uneven topology. 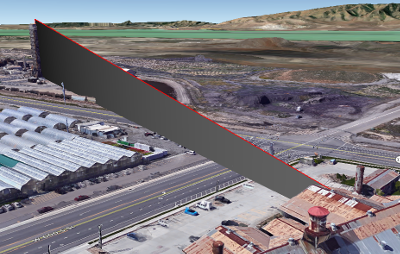 A viewshed will highlight all areas on the map that are visible from a specific point. 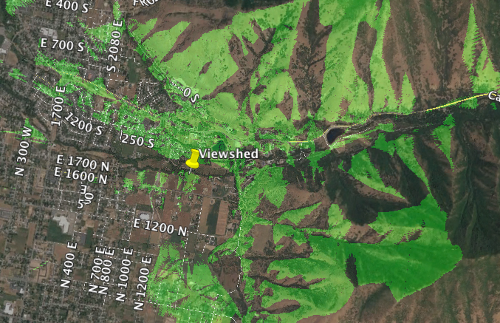 Drop a placemarker, right click on it, and select ‘Show Viewshed’. A pop-up may ask to adjust the height of the marker - select ‘Adjust Automatically’. When the viewshed completes the areas on the map that have line of sight to the placemarker will be highlighted in green. Draw a line from the customer’s home to your tower and take the image with you to the install. The ruler tool will give you an azimuth to use to aim the device and the line will help you identify landmarks to assist in aiming. This tip is for Google Maps Mobile rather than Google Earth. While on a roof you can the use Google Maps ‘Measure Distance’ tool to assist in aiming an antenna. Now you have a line on the map indicating where you need to aim. 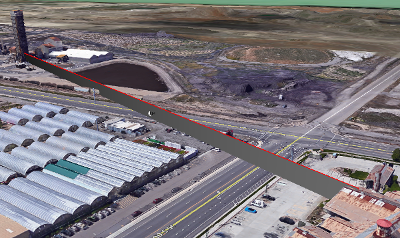 Switch to satellite view and find recognizable landmarks to aim toward.